Children love being outdoors – learning through play and being inspired to explore the amazing world around them. But during school holidays it’s easy for kids to quickly become bored – and for parents to worry about keeping them engaged with learning. However, those who remained in an environment conducive to learning better maintained their abilities to learn and understand new concepts – enabling them to learn more, learn faster and be prepared for the return to school. 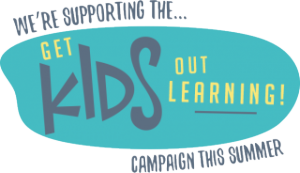 Get Kids Out Learning is an easy way for families to find fun days out local to them, but which still provide great learning and educational opportunities for the kids. The website pulls together all of the best educational venues across the UK, including lots across the South Downs National Park, and allows parents to search for them by region to quickly see all the information they need to plan a great day out!